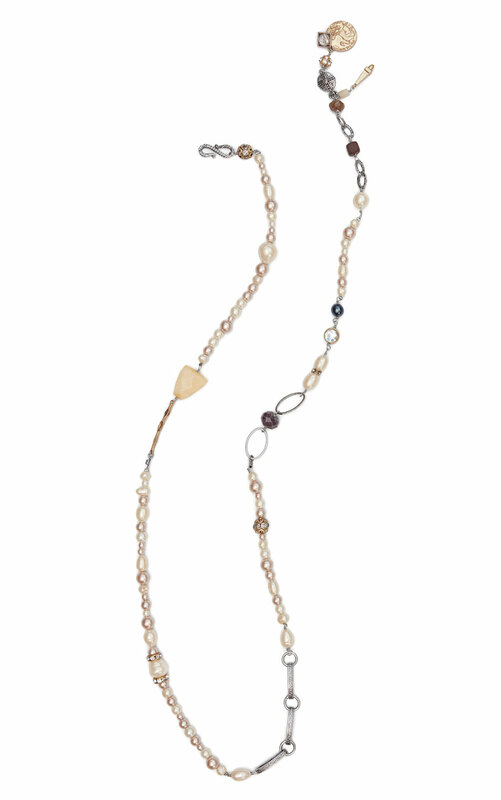 A single-strand necklace with an eye-catching mix of pearls, rhinestones, and gemstones is a classic and elegant addition to any outfit. The Treasure Necklace is adjustable and can be worn lariat-style or wrapped for a double layer. Loving the Treasure Necklace? Share how you’re wearing it on Instagram, and browse through all the inspired ensembles for fresh ideas.